Good morning everyone! I hope your weekends were perfectly nice and wonderfully long. I'm still not quite ready for the week to start...but here we are! (At least it's a short one). And look at these pretty wedding and engagement rings from Artemer Jewelry Design on Etsy. Aren't they gorgeous? I love bands that are sweet and simple, ones that look like they came from a tiny little jewelry shop that you could only find around bends and turns down a sunlit cobblestone street. All of these fit the bill. That turquoise one is stunning. Which is your favorite? You can check out all of the styles here. Images found on Artemer Jewelry Design. I seriously can't decide which of these I love the most....they're all so pretty and such statement pieces. These are all so fun and so unique! 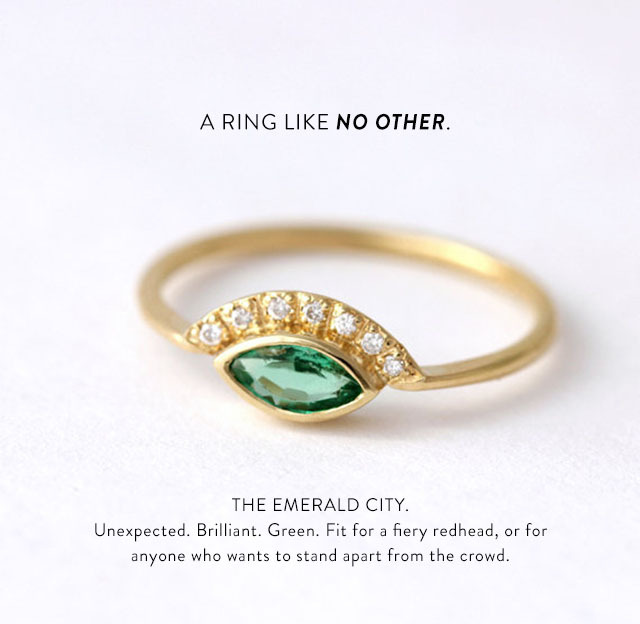 I'm in love with that Emerald City ring - the design is so unique and beautiful! So sweet, I love the old fashioned look of that emerald! I love the Grotto. These are all beautiful. 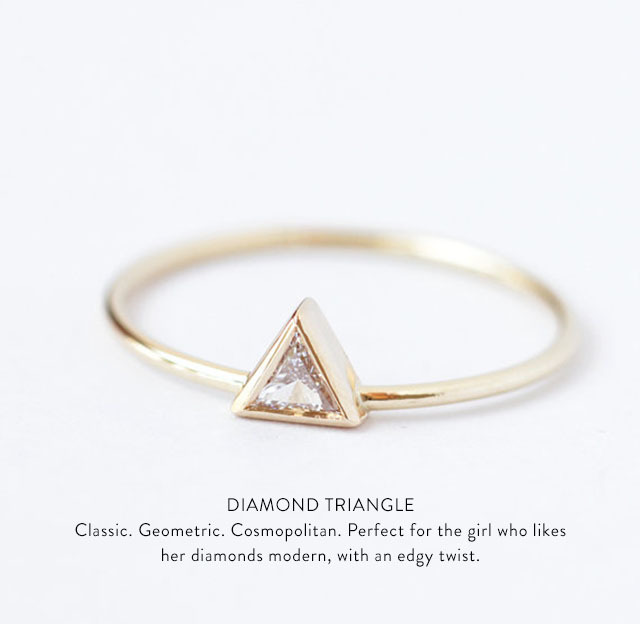 The diamond triangle one is amazing!!! That is so different and just so beautiful. Great round up. The diamond triangle is my favorite! 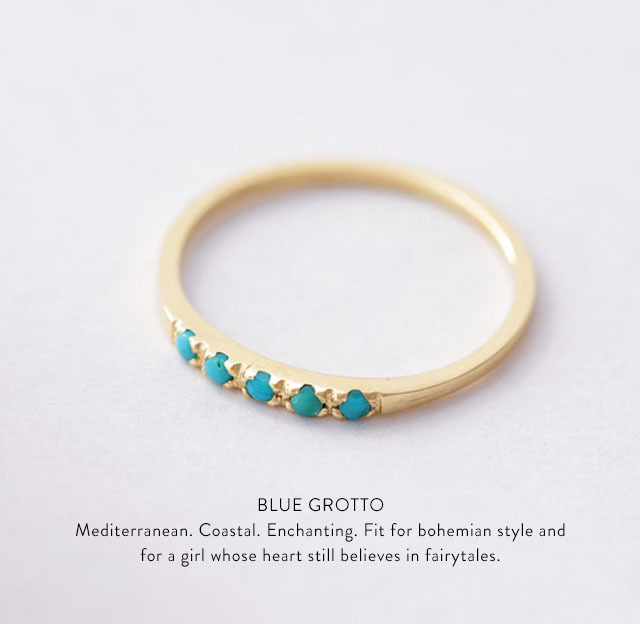 In love with these rings!